Air Ticketing - Corporate Travels and Tours Pvt. 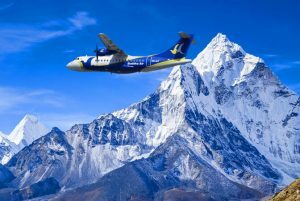 Ltd.
Corporate Travels & Tours Provides the cheap & best deals on Domestic and International Flight Tickets all over the world as well as Nepal Package Tour, Trek, Expeditions and Outbound Holidays in Thailand, Cambodia, Malaysia, Singapore, Srilanka, Bhuta, Tibet and many more country. We try to manage the highest level of customer service. We have 2000 thousand delighted customers and still counting. We ensure the high level of satisfaction to our valued customers with our dedicated & professional services as per travel needs. Please leave us your feedback, so that we can serve you even better in near future.